Best Western Plus Elomaz Hotel est idéalement situé dans le centre de Asaba. Venez découvrir et profiter de notre hôtel à côté des principaux sites touristiques. Réservation au meilleur prix et offres exclusives toute l'année. 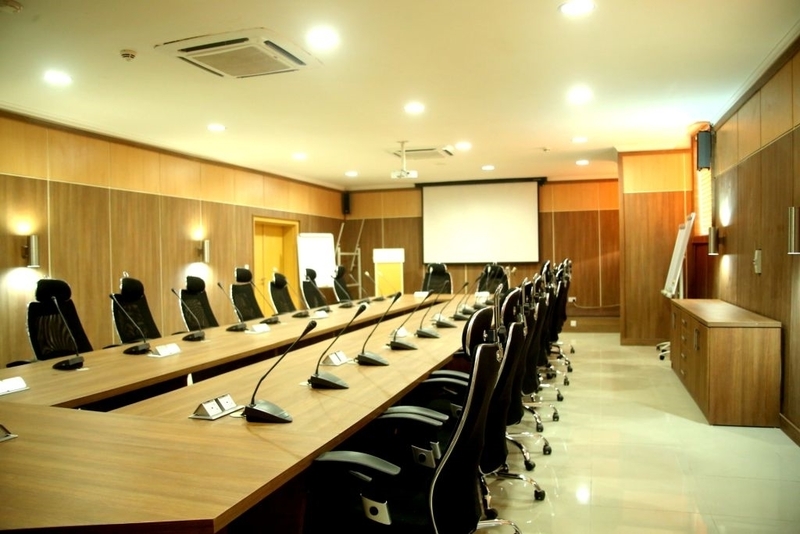 Le Best Western Plus Elomaz Hotel à Asaba, au Nigéria, dispose de 86 chambres Executive Double et Executive Double Plus élégamment meublées et équipées de l'air conditionné et du meilleur de la technologie et des équipements. Cet hôtel inclut un ascenseur contrôlé par carte de sécurité, un accès aux chambres par carte-clé et réception à chaque étage. Chaque chambre est équipée d'un lit très confortable, accès à Internet sans fil haut débit, bureau et services téléphoniques, pour que les voyageurs d'affaires puissent rester connectés durant tout leur séjour. Nos quatre suites Executive sont décorées de façon exquise et très appréciées par les clients accueillant des invités et souhaitant que leurs réunions restent privées. Ces suites sont équipées d'un salon et d'un coin salle à manger séparés pour votre confort, accès à Internet sans fil haut débit, bureau et services téléphoniques pour que les voyageurs d'affaires puissent rester connectés durant tout leur séjour. Certaines de ces chambres sont communicantes, pour les clients qui préfèrent disposer d'un accès facile et privé aux autres membres de leur groupe de voyage. Nos deux suites présidentielles sont chacune composée de deux chambres décorées avec goût, coins salon et salle à manger, espace bureau entièrement meublé, accès à Internet sans fil haut débit, bureau et services téléphoniques pour une connexion pratique et permanente. Le restaurant de l'hôtel offre à nos clients des plats africains et continentaux exécutés à la perfection. Également, notre bar-salon est le lieu idéal pour se détendre après une journée bien remplie. Il possède un bar bien fourni et propose une grande variété de vins et spiritueux. L'hôtel sait à quel point il est important de disposer d'un lieu serein et agréable pour organiser conférences, séminaires et ateliers, afin de permettre à tous les participants la possibilité de se concentrer, à l'abri des distractions. Nous mettons donc à votre disposition un centre unique et bien équipé pour vos événements importants. I have been here on several occasions. The hotel never ceases to deliver on quality. The staff were courteous. Food was great. The complimentary breakfast had a great spread. No complaints on service. 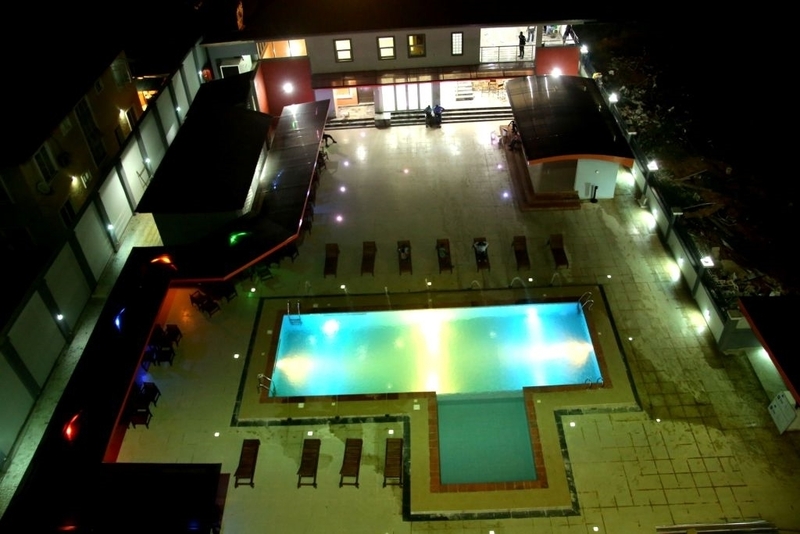 The best hotel in Asaba by a mile! I have always enjoyed staying in Best Western because of the way the rooms and bathrooms are kept. The environment makes you feel you're at home and the staff always treat you with that inviting small, making you feel welcomed. "One of the best hotels in Nigeria"
My experience in this hotel was awesome. customer service was very good, their breakfast buffer was a dream meal and rooms was so spacious providing you enough views around. This hotel made my visit to ASABA a very remarkable one though my stay was cut short as I was told PDP had booked the rooms the next day for their campaign. Since I have been visiting Nigeria, this is the best hotel I have stayed in. The hotel staff were nice and courteous, security was good and the free breakfast buffet was awesome. The room was nice and clean. It was home away from home. I would definitely recommend this hotel and I would definitely come back again whenever I am in town. 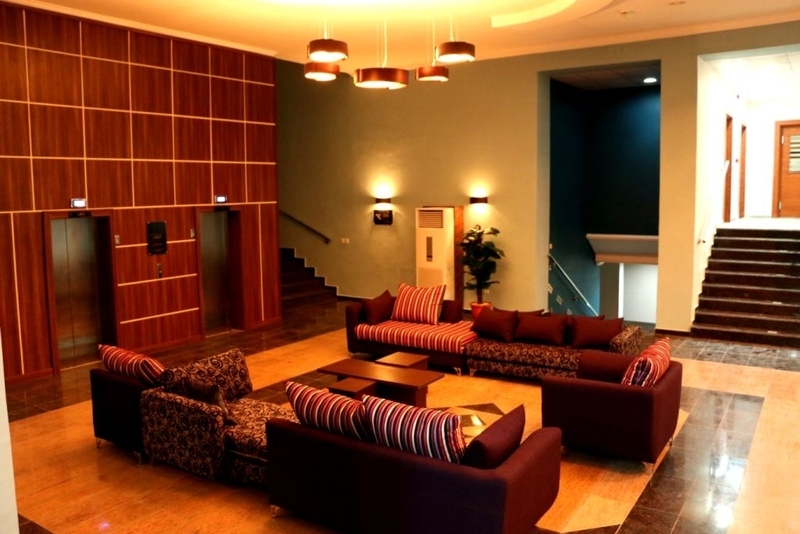 "My stay at Best Western Asaba"
Dear Happiness25332620103, Thank you for your review. We hope to continually improve on our services in order to surpass your expectations as we look forward to your next visit. Thank you! The hotel is a really great hotel by itself, but the customer service is ridiculous, Stella a female front desk attendant, was just not helpful in basic needs, airconditioner was leaking, she promised to change the room, but ignore's u when u try to go remind her about the leaking room. Which made the room smell since the rug were sucked in water, not only that, when you call room service for anything, they either dnt show up, tell you most things on there menu, the dnt have or show up 3 hours later, after after u have fallen asleep. Custom service was an epic fail!!! Dear Doris E, We sincerely regret the inconveniences experienced during your stay and appreciate your observations. Guest feedback like yours has helped us to improve on our service delivery and to offer better hospitality experience. We are hopeful that you consider to stay with us on your next visit to Asaba and see that we have improved positively on your complaints. kindly avails us your email to enable us contact you. Warm regards! "Best western plus- Room with a view"
We took the Easter weekend break in Asaba and Best western plus was recommended by a friend. We found our digs comfortable,neat and tidy. The staff were courteous,cordial. We stayed on the 5th floor. view was amazing. The kids had fun daily at the pool(which is kept quite clean).Breakfast can be a bit of a chaos especially when the hotel has full guests staying. one could feel a bit let down with the choice of spread for buffet breakfast but overall, the best western plus did not diasppoint. "Excellent stay at your hotel"
the hotel is generally good and the staff are excellent ,the environment is well kept I wanna commend the house keepers they are doing a great Job.then management should check on d security men to ensure they are at there duty post. Thank you Oghenekome for your review. We really appreciate your feedback. We have also taken note of your observation, and we are definitely going to improve on that. Thank you mr John for finding time to review. in this case, its advisable you make your booking/reservation ahead of time before your arrival through our reservations portals. Best regards! The Hotel is generally good and the staff from entrance to stay are professional. The Management should check the activities of the Security Men and ensure they are at their duty post and not helping guest with luggage as that is for another staff. They should also see how to improve on the items on breakfast buffet. Right from check-in to check-out, the hotel was really on top of its game. Great eye for details. The complimentary breakfast had lots of options, and it was really nice. During the weekend, there was a live band at the pool side which thrilled the guests and visitors alike. i really enjoyed my stay. My stay at this Best Western hotel was very near perfect except for the WiFi. 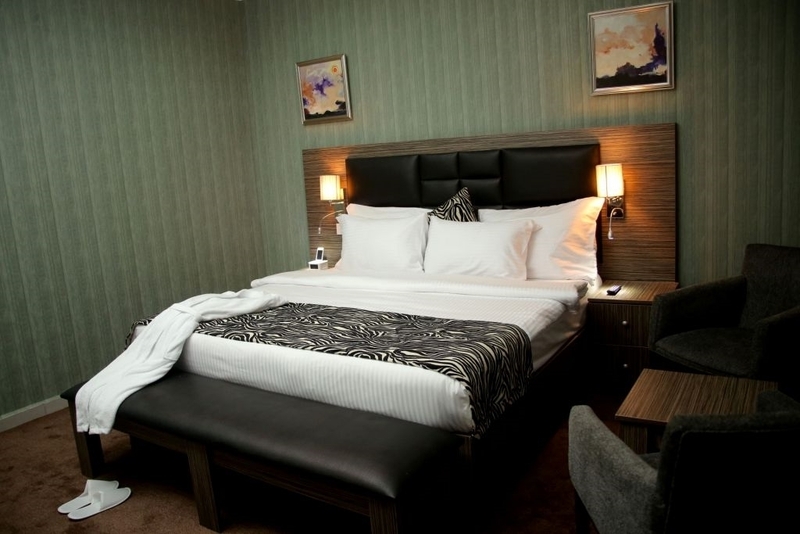 The rooms are very spacious and well furnished. There's a decent workstation where you can carry out all your work in the room. Although there's free Wi-Fi service in this hotel it wasn't very efficient as it kept logging me out or there wasn't any service in my room. A call to the IT guys wasn't answered. Breakfast was great with a great selection of national dishes. The omelette was very nice as well. They also got fresh juice. Overall I was impressed with this facility in Asaba and I'd definitely be using it again very soon. This is the best hotel in town. Staff attentive and friendly. Rooms well kept and air conditioning works!! Great pool area. Restaurant and food choices very Nigerian. Stick to what you're stomach is used too. "Why I was treated like a prostitute!!" My Husband and I stayed at this hotel for only one night (Thank God) We booked our reservation online previous to checking in. Upon arrival, we were told no rooms where available. After Speaking with the Manager Thomas, we discovered, there was availability, but we were being exhorted. After some back and forth, they honored our original booking. The next morning at our all inclusive breakfast. We were told by our wait staff, only one of us can take advantage of the complementary breakfast. ( after we both ate) I questioned why?? Apparently The staff assumed I was his- call girl (OMG) We sent the bill to our room and deal with the front desk and the Manager Thomas again. The level at which the staff at this hotel attempted to was…was unbelievable DEAL WITH MANAGEMENT DIRECTLY! Best Western Plus Elomaz Hotel is a home away from my home. 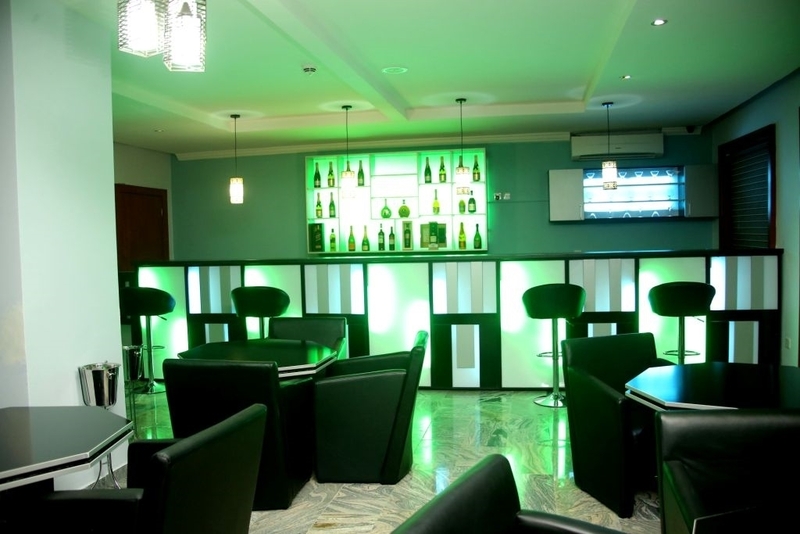 The location is superb, connecting the two major routes in asaba, i.e benin - onitsha express way and nnebisi road. The nearness to airport is another good thing to mention. The room rate is cheap compare to what is obtainable in other properties of the same standard. Dear Hon. Collins, Thank you for staying at Best Western Plus Elomaz Hotel Asaba. We sincerely appreciate your review and look forward to your next visit. Was here last year...was just an above average review..Now it's way below average...but I'm sure 4 d locals must be sorta above average...Insects...Stains..out dated finishes..poor maintenance culture..Still friendly staff..just not efficient..
"Probably best hotel in Asaba." 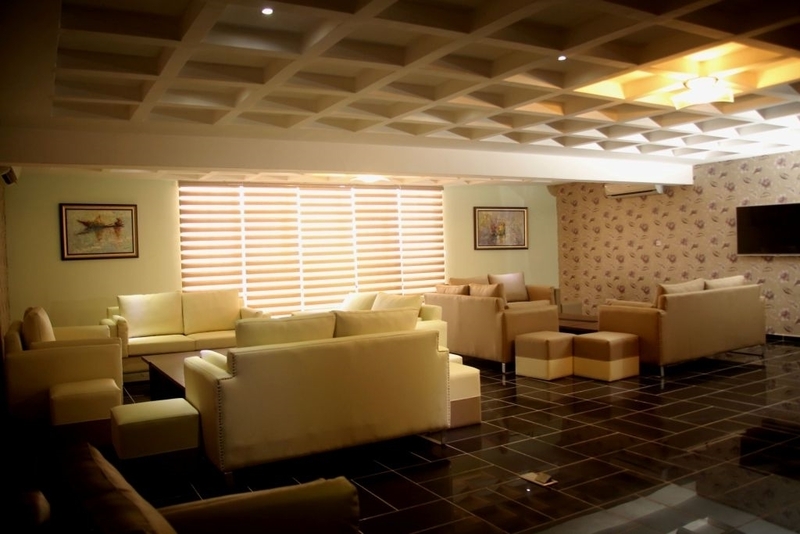 The hotel is probably the best hotel in Asaba. We have tried most of the others in this category in Asaba. 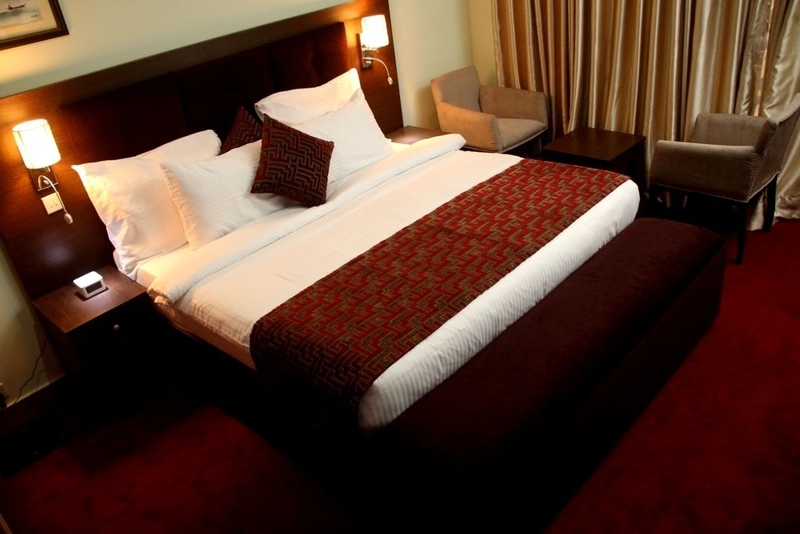 Rooms are to European business standard, well furnished and clean. Staff are good,, trustworthy and really try. The hotel is secure. My husband is u-eebo (white, Scottish) and I had no security worries about him at the hotel - he drives himself in Nigeria and is keen eyed to spot security risks but during our three week stay he was more than happy with the hotel security. Wifi is very good and free: supports long video Skype calls. Mostly occupied by politicians, and their offspring, plus foreign visitors. Hotel has an OK gym, open 24/7, and a decent sized pool. Free parking alongside the hotel, within the secure compound. Tips and Gripes: 1. music on Friday night can be deafening, and can go onto midnight: to avoid it do not take rooms facing the pool. 2. restaurant door is covered in grime that Ajax or Jiff could remove in a few minutes - they simply use the wrong cleaner. Despite the appearance of the door, the restaurant is clean, and food hygiene was no problem there. 3. Book on the online Best Western site: it is a bit cheaper than in the hotel direct. Exchange rate is 304 Naira to 1 USD when Aboki rate is 410, so good rate, good deal. 4. If your room is not to full European standard, ask to move room: evidence of smoking burns in one or two rooms, whilst others are perfect. Rooms with a bath tend to be better than those with only a shower. The corridors were dirty. Room service trays lying in the passage for hours. Nice smell of fish? Bed linen was dirty. Had to have it changed. Bar menu a joke. Nothing available except beer mostly? Exotic joke of a drinks menu. Dinner the same. Breakfast menu amazing but only the basics available? This hotel gives their guests false impressions. I will not return. The only positive was that they responded to the dirty linen and corridors but they should have been clean in the he first place. Dear 37irene, We sincerely regret the inconveniences experienced during your stay and appreciate your observations. Guest feedback like yours has helped us to improve on our service delivery and to offer better hospitality experience. Moreover, we appreciate your positive concluding remarks as the issues you raised were attended to and it might interest you to know that your feedback has been included in our staff training/ property maintenance programmes. On the food and drinks, our Executive Chef and the F & B Manager have reviewed the menus to include more variety and to ensure adequate availability. We are hopeful that you consider to stay with us on your next visit to Asaba and see that we have improved positively on your complaints. kindly avails us your email to enable us contact you. Warm regards! 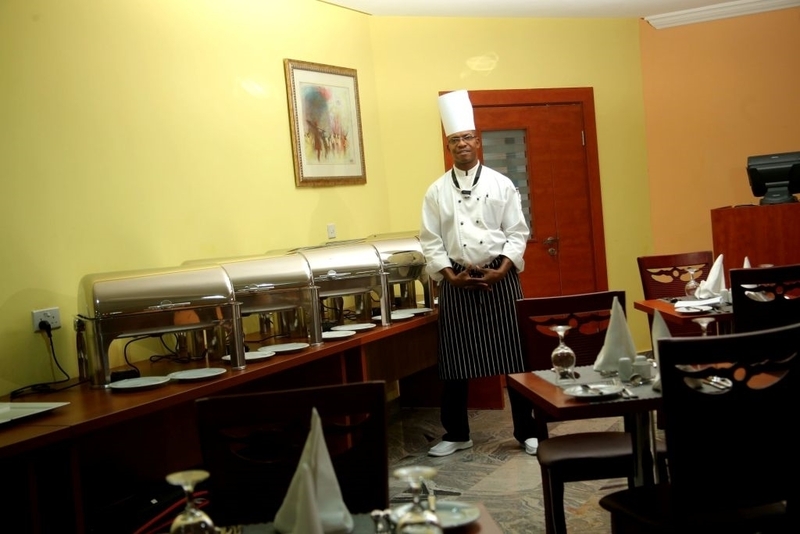 Dear Mr. Nick, Thank you for staying at Best Western Plus Elomaz Hotel Asaba. We sincerely appreciate your review and look forward to your next visit. This is my first time in Asaba and I absolutely love it. The staff is very nice and welcoming, rooms are very clean, and it is very secure. The food manager Usman is a very nice guy and makes you feel right at home. Food is great and it is buffet. I highly recommend staying here. The only down side is that the wifi is not very good, which it is not really good anywhere in asaba. Dear Matthew M, Thank you for choosing Best Western Plus Elomaz Hotel. We sincerely appreciate your patronage and review. On the wifi, it's a general network issue but we are working on an upgrade. We look forward to your next visit. Thank you! Dear Xiajiyan722, Thank you for choosing Best Western Plus Elomaz Hotel. We sincerely appreciate your patronage and review. We look forward to your next visit. Thank you! As a frequent traveller to Asaba from Europe I am always using the hotel. One great addition is the Friday Night pool buffet. This time this was organised by the F&B manager Usman. It has been excellently executed and the presentation would have rivalled any European standard. Usman was perfect in his setup and instructions to his team who performed very very well. Well done. Dear Asik123, Thank you for your review. We hope to continually improve on our services in order to surpass your expectations as we look forward to your next visit. Thank you! "Excellent Western Hotel with a Plus!" Cozy, secured, elegant, excellent ambiance. The conference room is superb and the rooms are excellent. The place is centrally located. As a foreigner travelling in this side of Africa, this hotel is one of the best! Trying to be a 4 star..But we all it a 3 star ? ?...Mosquitoes..ants...coakroaches..power disruptions..Almost got slammed by the elevator door...Food was okay. GYM WAS GREAT. Staff was good. Hotel should pay more attention to detail. Pungent small 5th floor corridor thru out my stay. Water dint run on time some mornings. I hope this my criticism is taking as a constructive one. Hotel has the potential to be greater ...but attn has to be paid to details. Paid for an executive suite..yet complimentary breakfast was only for one person. Seriously. Location was good close to the airport and within the GRA. Felt safe. Had business at Onitsha. 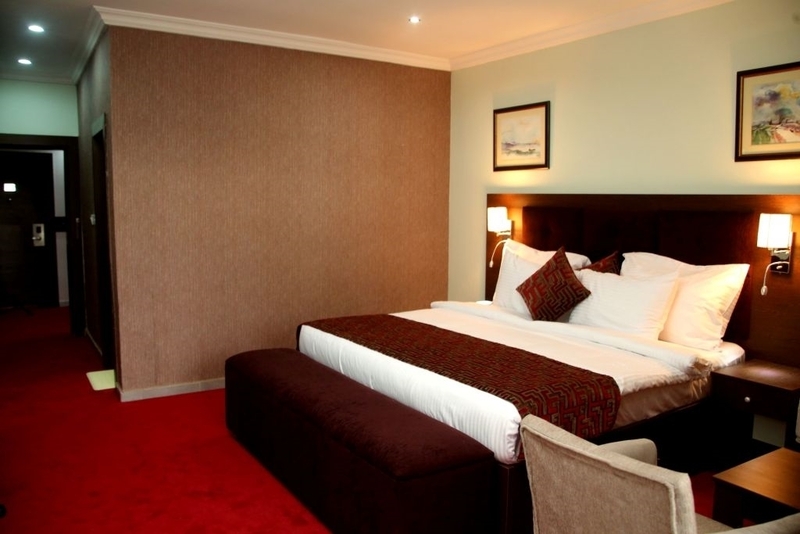 Choose this hotel for its closeness to the Asaba Airport. It's clean and new. About a year old. However, compared to its Lagos branch, service here is too poor. Workers here lack the hospitality and warmth. An indifferent attitude to customers. Maybe because they are new workers. Dear Freeman G, Thank you for your candid review. We appreciate your stay with us and we will continue to surprise and surpass your expectation with best services. Thank you! "Good customer service and well maintained hotel "
Dear Asake-Okin, Thank you for taking out time to write a review. We appreciate your patronage and hope ypu enjoyed your stay as we look forward to your next visit. Thank you! Am not normally in the habit of encore reviews for same facility, but having stayed here over 15 times and observed the steady slipping, this becomes inevitable. Ok, I earlier branded this as one of the best (if not the best) in Asaba but am now somewhat doubtful of this rating, what with these observed flaws: 1. Appalling peeling corridor walls (4th floor) 2. Faulty card keys, now replaced with manual keys (4th floor) 3. Sloppy service by IT room (operator vanished & forgot to turn on cable channels) While sleep quality remain commendable as well as meals, BW must attend to the aforementioned, and other flaws to remain in our hearts. Nice deal, but slipping!!! Dear Sam M, Thank you for taking out time to write a review. However, on the issues you raised concerning; 1. the peeling corridor walls (4th Floor), the reality is that we were undergoing a routine grouting and maintenance work hence your observation. Secondly, on the faulty key cards and sloppy service by IT room, we sincerely apologize for the inconveniences. The good news is that the key card issue has been rectified and we appreciate your patronage as we look forward to your next visit. Thanks. The room was clean and tidy. The staff was very friendly and ever willing to help out. Its a lovely place to stay for everything. The breakfast buffet was simple and tasty. However Friday was lovely as the dinner buffet is well attended by both the internal and external guests. Dear Osayomore O, Thank you for taking time to write a review. We really appreciate your patronage and candid review. we look forward to your next visit. Thank you! The hotel environment is quite clean, the structures and landscape look well maintained. The breakfast quality is also very good with a handful of varieties. Front desk staff are very professional with their duties and are very courteous. Dear Mr. Ugochukwu, Thank you for taking your time to drop a review. We appreciate your candid review and assure you of keeping to high standard of International best practices and professionalism. "Nice standard - super service"
All you need traveling on business. calm and nice - food fine and room very clean. Close to city and the airport. Gym with a ok standard. Room service was excellent and fast. Easy check out and transportation. Dear Kasper, We are happy for you candid review and firmly reassures you of keeping to the hospitality best practices. Thank you! "Nice hotel but staff need hospitality training"
Lovely hotel but alot of the staff are unprofessional and almost rude when you're a young unmarried female. A 5 star hoteh for asaba standards but I'll rate it 3 stars on a global scale due to most of the staff. Dear Bimanimi, Thank you for taking out time to write a review. we sincerely regret the unfortunate experience, we hope that your next stay with us, you will experience a better and professional customer service. Thank you! "Magnificent clean room, Great spa, top notch Service n Friendly staff"
I did not know what to expect in the town being a foreigner in town having travelled for business & pleasure. The rooms are spacious, clean with all the necessary items. The TV was massive and I enjoyed the prompt response by the front desk for any queries I had. The view of the town from the balcony was great. I loved the service of the spa and the lady in charge Amaka was a gem. Relaxing by the pool was awesome too. Entertainment spots are not so far from the hotel making it very easy to tour around. I would highly recommend the hotel and look forward to going back, Ohh n not forgetting the food! It was great and of generous portions !! Dear Sylvia, Thank you for your magnificent review. We firmly reassures you of keeping to the international best practices. Thank you! Pleasantly surprised, a hotel in Asaba that was OK. IT IS AN INTERNATIONAL hotel, with Nigerian standards. The room was clean the lobby sparse but clean. The breakfast ok. The WiFi free and working. I was pleasantly welcomed. There did not seem to be a back up generator as when the Nigerian power failed I had to walk the stairs, not good in the March heat. Dear ColmV, We are happy that you took out time to write us a review. We have a functional back up generator, however the incident should be seen as an isolated incident and we sincerely regret the inconvenience. We look forward to your next visit. Thank you! "Excellent for the price, but only serves Nigerian cuisine "
Excellent for the price, but only serves Nigerian cuisine. I wish they had intercontinental food. The rooms were clean and very nice. The place is secure and the staff there are very nice. I have enjoyed the stay but didn't enjoy the food. That is all. The experience was awesome. Never knew I could be such thrilled by the reception. I'm definitely coming back. From the point of check-in where I met some friendly chaps, though I don't know if it is because I was smiling all through, to everybody who was willing to assist. Imagine a guy at the reception always willing to get to my assistance. Hi Ezeh U, Thank you for staying with us at BEST WESTERN PLUS Elomaz Hotel, Asaba and for taking time to review our service and facilities. We are pleased that you have a good experience. We appreciate your stay with us and we are looking forward to seeing you soon. "Are you checking out Sir?" Newly built hotel and stands out as the best hotel accommodation in Asaba.Though the hotel bears an international name its services at the reception and restaurant are so poor you would want to throw up. The GSA chase after you every morning and afternoon and ask you "Are you checking out Sir"? Its so embarrassing that such an 'international' hotel ask such question.They should have a better way of 'checking out' guests.Sometimes they call your room to ask you the same silly question over and over again. At the restaurant, there are restaurant 'Guards' watching you as you eat a free breakfast should your room mate of wife or girlfriend taste your breakfast, you will be asked to pay N3000($15). Just make sure your guest or wife does not drink water or tea while eating breakfast. This hotel is not family friendly as you cannot afford to pay N3000 each for a breakfast for a family of 4 each morning for 1 week or for as long as you stay The hot water temperature can get upto 100 degrees C and you can get burnt if you are not aware. The WIFI is fast though and it is free! 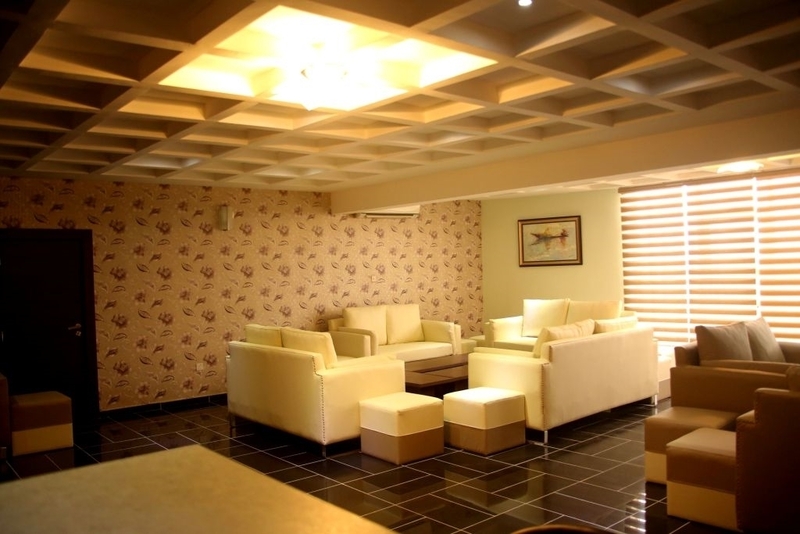 "Nice hotel in Asaba.......even the best in Delta"
I landed in Asaba on business for the first time and was taken to this hotel by the taxi driver. It was apparently the newest hotel in town. Took us about 8 mins to get there from the airport and upon my arrival, I was really pleasantly surprised. The reception was beautiful and the place is very well kept. Check in took a little longer than expected but can be excused as we were about 10 people that came from the airport and needed rooms. I was even more surprised when I heard my room will cost me N15,000 and it included buffet breakfast. I expected a small, dodgy room but instead the room was big and well maintained. Staff were friendly and I enjoyed their Friday BBQ night and Live band. I will definitely return to this hotel but will make sure to make a reservation next time instead of waiting for a room. "Nice hotel that require improvement in the service"
It seems this is a newly opened hotel in a small city of Asaba. The hotel is very good and deserves to be called a 'star' hotel in a small city. It has a nice entrance with ample car parking. The reception area is very well designed. The front desk staff are under trained and they do not know what to do when a situation arises. We as a group had an issue with our check-ins and it reached a level of frustration for us. We had a long drive from Calabar to Asaba that made me tired as well caused some sort of body pain. I requested them to complete the check-in fast and allocate at least one room for me. They had some issue with the payment that was already made but not reflecting. I offered them to swipe my credit card as security but they were unmoved. Eventually, after a lot of argument they allocated a room to me which took almost 45 minutes and a lot of frustration. My colleague still had to wait little longer for the second room. The room was very good and well designed. It was quite spacious as well with a very big TV. The bed was nicely decorated and extremely comfortable to sleep. The balcony was pleasing. The biggest aspect of the room was natural light and ventilation, these are the two things usually on the wrong side even with a good hotel. I barely needed to switch on the lights during day time. The bathroom was quite small compared to the size of room but it had everything that you need. You require a little adjustment. After staying in the previous two hotels, it was surprising to see this hotel having two elevators. However, the elevator program was faulty and it will stop at any floor while taking other guests on the top floor even if you have pressed a down button. The staff is not well and properly trained and at times they become clueless and unresponsive. They have kept powerful A/c at the reception and hallways as that makes the whole place chilling. The hotel does not have central air conditioning and water heating, hence, each room has a separate split A/c and a bathroom geyser. This is a bit unusual for such a big property. The hotel is very well maintained and kept clean from all the angles. Housekeeping is quite good. There is an additional level of security at the hall while you enter the room passage. You are required to tag your room card to open the room passage door, it is a good thing. Nigeria is famous for girls knocking your door in the night irrespective of the type of hotel you are staying with. My colleague had a couple knocking hard at 4 am in her room, don't know how they got in with such tight security in place. May be, the management is still in learning phase, since the hotel is new and first of such kind in Asaba. However, the noticeable thing was staff being workaholic and enthusiastic to accommodate your needs, which is quite unusual in Nigeria. I hope they maintain this level at least if they can't improve. The Internet worked like a Gem, again very unusual as per Nigerian hotel standard. The speed of Internet was good too and I could stream the movie on my iPad though with intermittent pause of buffering. But I would take it any day. The pool is clean and well maintained. They have poolside open music during holidays, you can also order food there and eat. This goes on for a bit longer and that is a quite disturbing especially if you room is facing the swimming pool. My room was quite far from the swimming pool but facing it and I still had noise coming to my room till 11 pm. Just imagine, what would happen if you room is near the pool. The restaurant staff is well accommodating to your special food needs that is a big plus for people like me who are vegetarian. The chef will personally check with you if you enjoyed the food. As usual, expect 45-min to an hour for the food delivery. The breakfast was good and with many varieties. I would advise to go for the breakfast a bit early, say no later than 8 am to avoid first timers attacking the buffet counters and pushing you to fill their plates 150% of the capacity and then rushing to grab a table. Don't be surprised if you find females at the breakfast table in their bathrobe. May be, the latest fashion or show-off trend in Nigeria :) The restaurant is very small and they have tried to accommodate more number of tables than usually it should. This creates a mess when you are late for the breakfast and place is crowded. Chairs are hitting in all the corners and the whole place turns into a fish market. When I was there the hotel had a promotional offer of just 15,000 Naira ($75) per day including breakfast due to holidays. 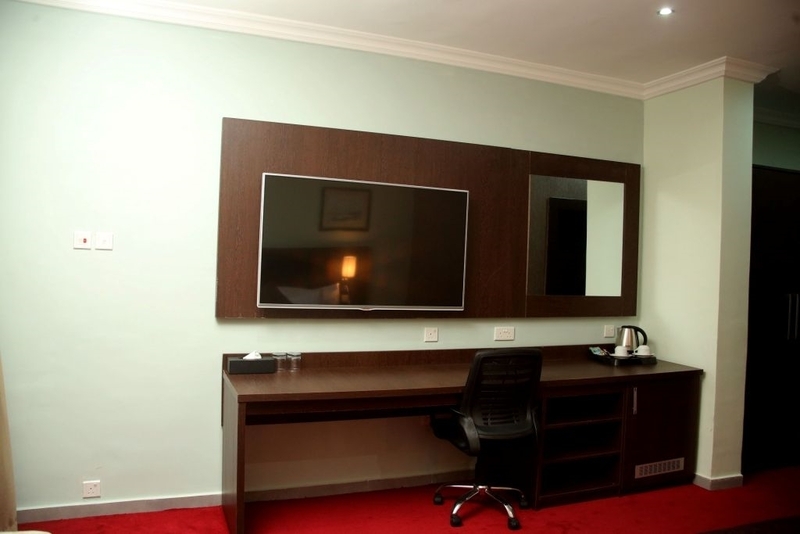 It is considered quite cheap in Nigeria where the hotels are usually expensive. This brought-in lot of crowd with some being not well trained or aware about hotel etiquettes. This made the hotel and pool quite messy with lot of shouting going all around. With some sort of training to the staff and continuous improvement this hotel can surely get 5-star rating and good review on tripadvisor. I would be happy to stay here again during my next visit. 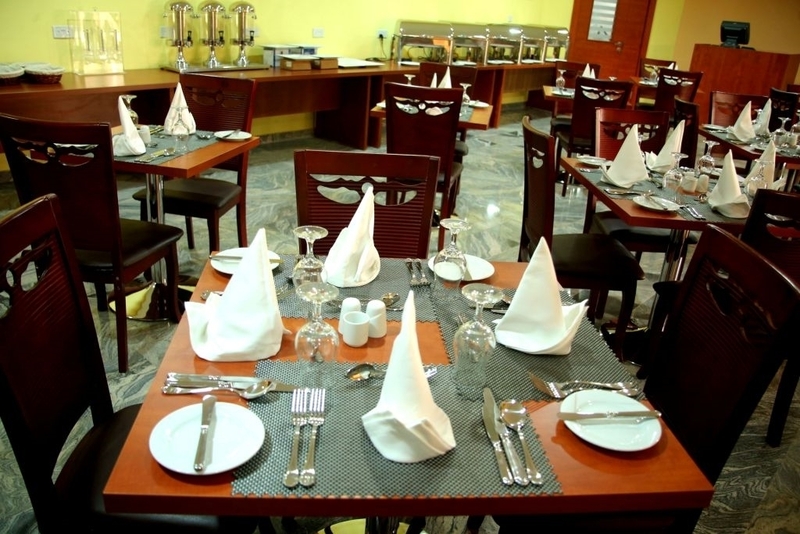 "my wife and I had a memorable stay at the Best Western Plus Elomaz Hotel Asaba, the services was excellent." on our arrival the porters took our luggage and we were ushered into the lush reception by friendly staff who seemed to be greeting us at every minute of the day, it was fun and memorable. the services was so good that my wife said that this was the first time Asaba got it right in its hospitality.